If you're in the hunt for a good guy gift, my friend Thomas Wages of Atlanta has some of the best manly accessories in his shop. One of my favorites is this brass Bottle Opener. I've seen it tucked into a bartender's front apron pocket and it just looks cool. The simple yet highly functional design is is by architect Luke Smith-Wightman. If you purchase anything by credit card inside Thomas Wages, you'll be using the Karas Kustoms pen to sign your receipt. You often don't realize you could use a good pen until one is placed in your hand and upon using it, you don't want to ever let it go. This writing implement is so smooth and weighty and perfect. I'm getting one for my dad for Christmas and I know he'll love it. This Misc Goods Co. Flask is a gem too, beautifully crafted in Louisville, Kentucky. There's a lot of quality items to find in Thomas' shop, many of which I've purchased before as you want your man gifts to mean something and have distinction. My dad loves the stainless steel Chicago Comb I bought him last year and this Fulton & Roark solid cologne is pocket size with a fresh, brisk scent that is great for the everyday gentleman. So much to see, so much to like... check out Thomas' entire collection, which includes quality clothing, bags and footwear, here. It's Friday, let's celebrate pink! From top left: Hipster Bunny print by Yankee Dime Creations, $22; Thomas Wages Chambray button down shirt, $155; Casablanca Pillow via Bunglo, $36.99; Angeliki's traditional Greek wool slippers for kids, $40; Vintage Pink Bandanas via Gunner & Lux, $16.99; Marie Turnor Lunch Clutch via Saint Cloud, $315; Hand dyed merino wool from Camellia Fiber Co., $22; Parima Studio's Floral Print, $54; Amethyst Ear Climbers by Asha Patel Designs, $95; Dessert Plates in rose and gold via Suite One Studio; $60; Pink Clay and Sea Salt soap found at Spartan Shop, $12. Tweeds is the kind of shop that grabs your attention the moment you walk inside. All the offerings are desirable, distinctive and beautifully made. 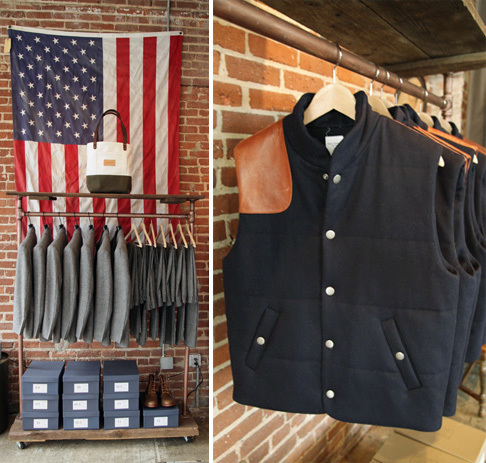 And it all makes sense when you meet the owner, Thomas Wages, who epitomizes style and class. The 2300 square foot space, located on the west side of Atlanta (that was once a horse stable), is open and welcoming. The shop has ample space to meander, with couches and chairs to relax on, plus a steady rotation of great tunes playing. And for us home decor lovers, everything inside the store is for sale- including all the tables, props and display pieces. Thomas, "The whole store is a living breathing thing that's always evolving." 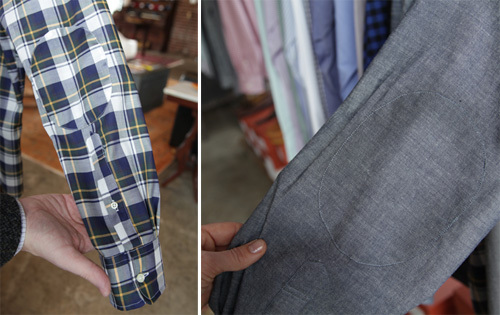 One of the top two reasons to shop at Tweeds is for their hand stitched suits. Thomas, "Our handmade suits are a third to a half the price of our competitors." The handsome Tweeds brand suit sells for $895. 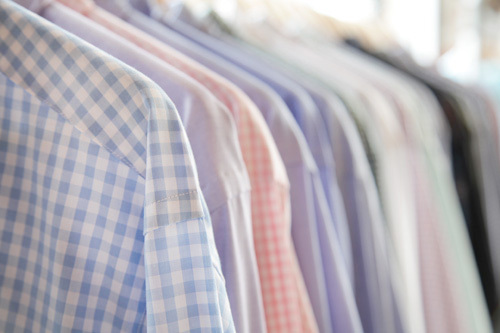 The second top reason men seek out Tweeds is for their shirts. 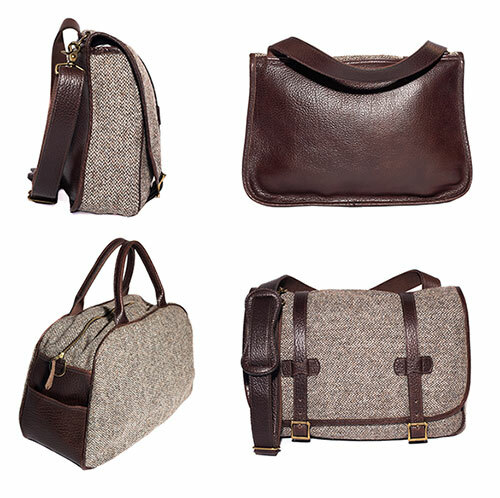 They have a nice selection from Ernest Alexander of New York as well as the recent introduction of their own line. Thomas showed me a couple special features, including their split placket across the back which allows the shirt to hang better on the shoulders. The quality of their material is superb- plus they add elbow patches, which I can't help but love. 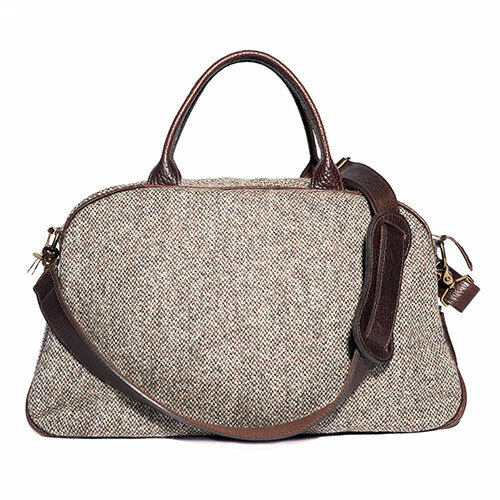 Check out the entire Tweeds shop, here.